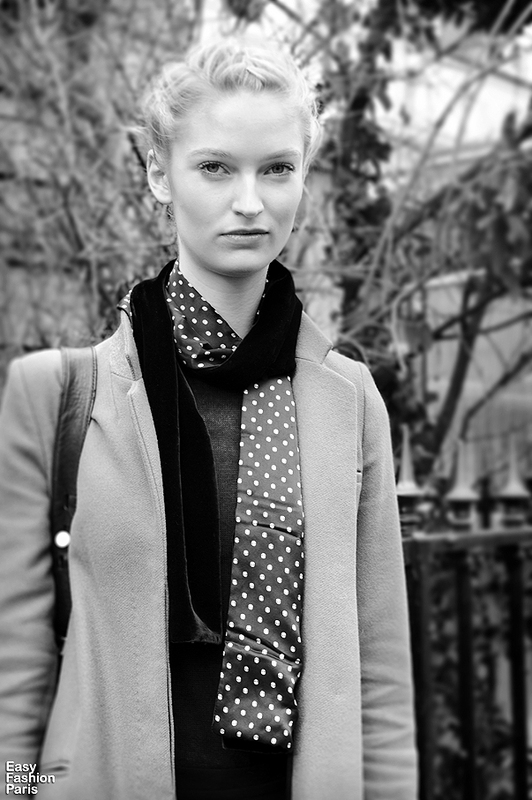 Love her polka dot scarf! She's so stunning! Her features are beautiful!